On my last day at Kuala Lumpur, I had an evening flight to catch. My original plan was to hang around the Petrona’s Twin Towers but I gave that up after a while. There were a lot of branded shops around and I didn’t had a ticket to go up. 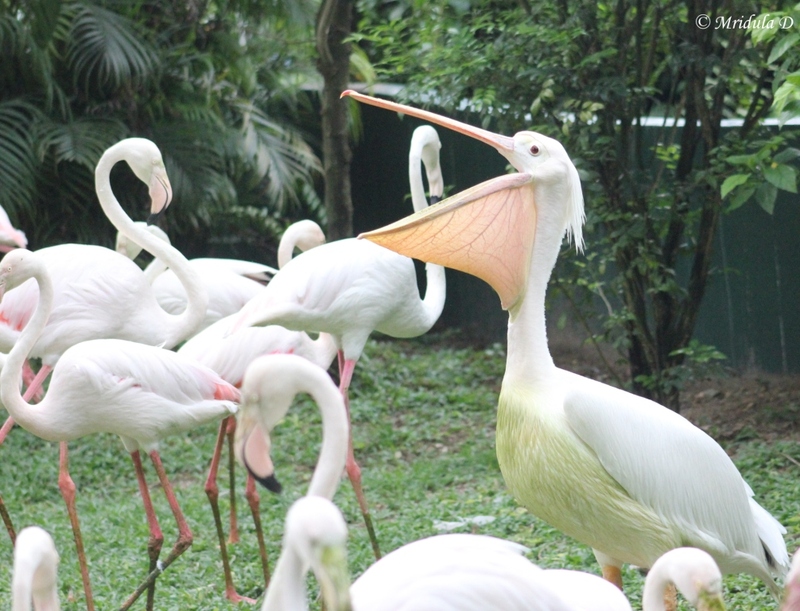 I had taken the metro to go to the Petrona’s but I realized that given my time constraints I needed a taxi if I wanted to make it to the bird KL Bird Park and the airport too. I am sharing some images that I have been able to id up to now. There are many more that I have not been able to identify so as and when I do, I will post more bird images. 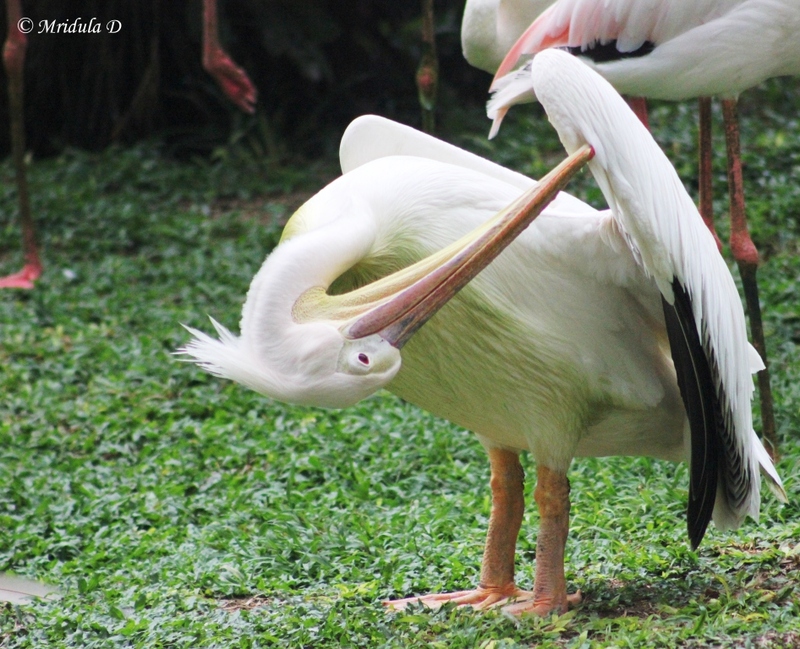 I start with this pelican among the lesser flamingos. I wish I could drop my jaws like that! I loved the small birds I saw in the park and this splendid starling was a beauty. 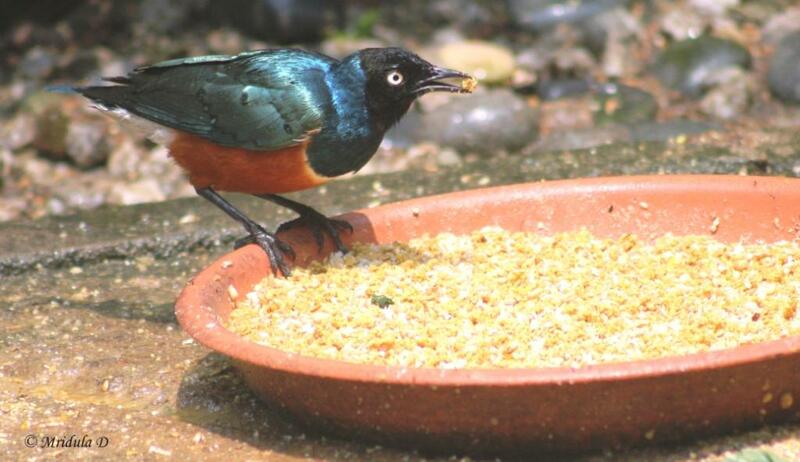 And I am not saying that the starling was splendid, the name of the bird is ‘splendid starling’. 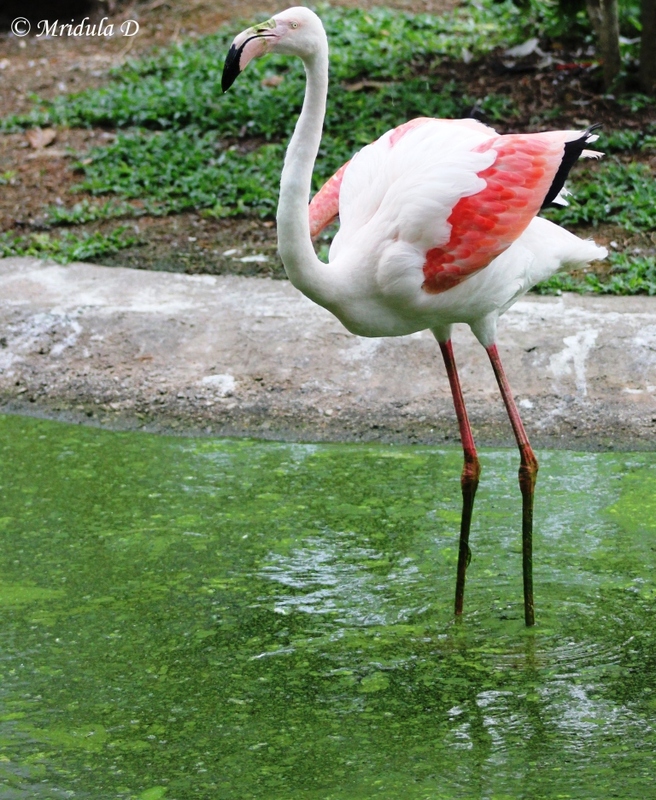 Then there was this lesser flamingo which spread its wings for a second. 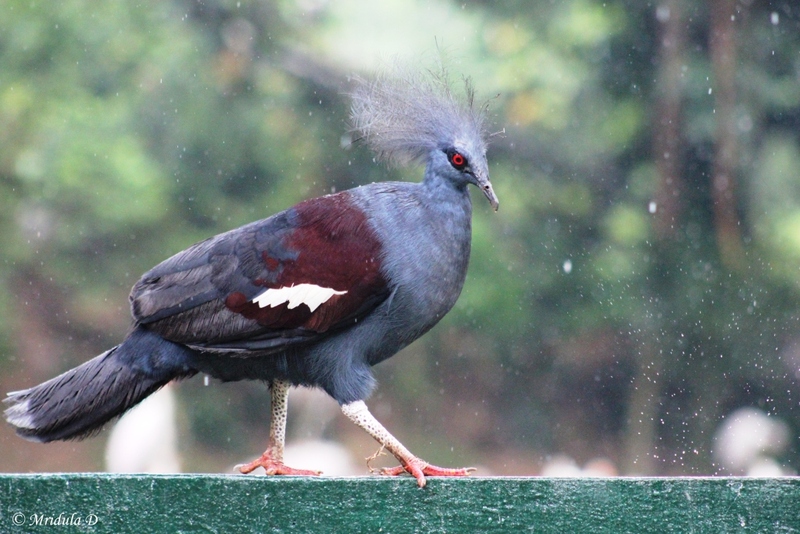 When I saw this bird and thought it has to be some kind of a peacock but on asking around, realized that it was called a Victoria crowned pigeon! By now you can make out that I was thoroughly smug with my decision to switch places and shell out on a taxi to get to KL Bird Park. 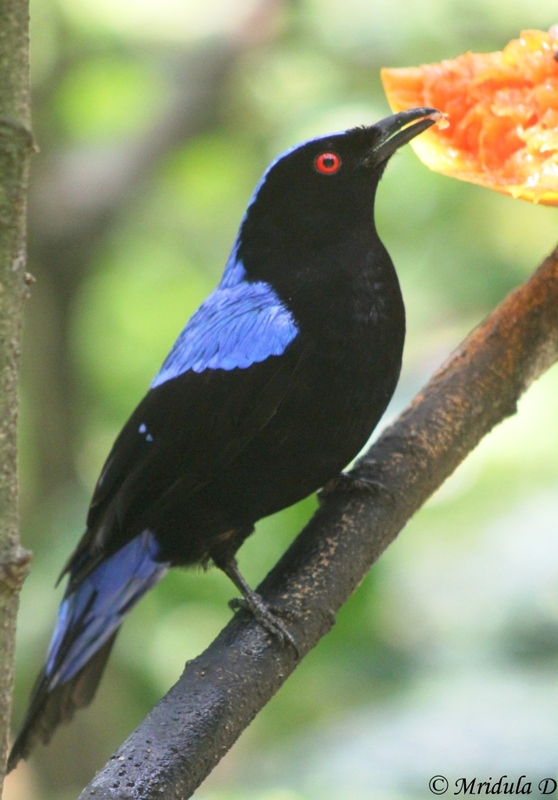 I also saw an Asian Fairy Bluebird. I will leave with the pelican again, and what a head twister it was!